The Library of William Morris | Category Archive | 17th cent. Seneca, Lucius Annaeus. The workes of Lucius Annaeus Seneca. Ed. Thomas Lodge. London: printed by William Stansby, 1620. Provenance: Morris. — Richard Bennett. — Sotheby 1898, lot 1114 (sold to Pickering for £1 16s.). — Unlocated. References: Ellis valuation, fol. 52b (£1). — ESTC (S117064). — MS catalogue (2), no. 473 (with three X’s next to it). Shakespeare, William. Mr. William Shakespear’s comedies, histories, and tragedies. 4th ed. London: printed for H. Herringman, E. Brewster, and R. Bentley, 1685. Provenance: Robert Bavand. — Morris (purchased for £4 4s.). — Richard Bennett. — Sotheby 1898, lot 1119 (sold to Tregaskis for £17). — Willingham Franklin Rawnsley. — Folger Library (S2915 Fo.4 no.34). References: Ellis valuation, fol. 52 (£5). [Note by Ellis: “No port.”] — ESTC (R25621). — MS catalogue (1), fol. 10v. — MS catalogue (2), no. 362. Willughby, Francis. The ornithology of Francis Willughby . . . wherein all the birds hitherto known, being reduced into a method sutable to their natures, are accurately described. London: printed by A.C. for John Martyn, 1678. Provenance: Morris. — Richard Bennett. — Sotheby 1898, lot 1213 (sold to Pickering for £19). — Unlocated. References: Ellis valuation, fol. 53b (£1). — ESTC (R9288). — MS catalogue (2), no. 682. Howell, James. Lexicon tetraglotton: an English–French–Italian–Spanish dictionary. London: printed by Thomas Leach, . Provenance: Morris. — Richard Bennett. — Sotheby 1898,lot 710 (sold to J. Jones for £2 12s.). — Unlocated. References: Ellis valuation, fol. 51b (£1 10s.). — ESTC (R188257). — MS catalogue (2), no. 397 (with three X’s next to it). Howell, James. Paroimiographia: proverbs, or, old sayed sawes & adages, in English (or the Saxon toung) Italian, French and Spanish whereunto the British, for their great antiquity and weight are added. 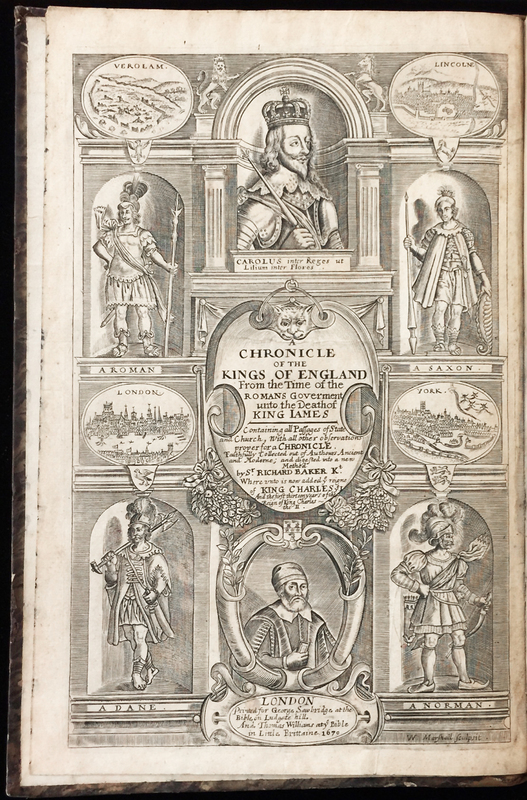 London: printed by J[ohn] G[rismond], 1659. Provenance: Morris. — Richard Bennett. — Sotheby 1898, lot 709 (sold to Bain for £3 3s.). — Unlocated. References: Ellis valuation, fol. 50b (£1). — ESTC (R5378). — MS catalogue (2), no. 398 (with three X’s next to it). Dampier, William. Voyages and descriptions. 4 vols. London: printed for James Knapton, 1699–1729. Provenance: Morris (purchased for £2). — Richard Bennett. — Sotheby 1898, lot 228 (sold to Young for £3). — Unlocated. Reference: ESTC. (The book has such a complicated history of publication that it is not easy to determine which of the editions listed in ESTC were owned by Morris.) — MS catalogue (1), fol. 10. — MS catalogue (2), no. 159. Speed, John. The history of Great Britaine under the conquests of ye Romans, Saxons, Danes and Normans. London: printed [by William Hall and John Beale], and to be sold by John Sudbury and George Humble, . The Sotheby 1898 catalogue is inaccurate in describing Morris’s copy as incomplete; ESTC makes it clear that the pagination begins with p. 151. References: Ellis valuation, fol. 52b (no price). — ESTC (S122020). — MS catalogue (2), no. 392 [misdated 1644] (with three X’s next to it). The most pleasant and delightful history of Reynard the Fox. London: printed by A[nne]. M[axwell]. for Edward Brewster, 1672. 2 parts in 1 vol. Provenance: Morris. — Richard Bennett. — Sotheby 1898, lot 881 (sold to Henry Wellcome for £1 1s.). — Henry Wellcome. — Unlocated. References: ESTC (R4861). — MS catalogue (2), no. 26 (with three X’s beside it). Plutarch [Plutarchus]. The lives of the noble Grecians and Romans. Trans. Sir Thomas North. London: printed by Abraham Miller, and to be sold by William Lee, 1657. Provenance: Morris. — Richard Bennett. — Sotheby 1898, lot 963 (sold to Clements for £4 5s.). — Unlocated. References: Ellis valuation, fol. 52b (£1). — ESTC (R18804). — MS catalogue (1), fol. 10. — MS catalogue (2), no. 440. Polybius. The history of Polybius the Megalopolitan. Trans. Edward Grimeston. London: printed by Nicholas Okes for Simon Waterson, 1634. Provenance: Morris. — Richard Bennett. — Sotheby 1898, lot 966 (sold to Henry Wellcome for £1). — Henry Wellcome. — Wellcome Library [deaccessioned]. — Unlocated. References: ESTC (S1269). — MS catalogue (1), fol. 9v. — MS catalogue (2), no. 507 (with three X’s beside the title). Tusser, Thomas. Five hundred points of good husbandry. London: printed by T[homas]. R[atcliffe]. and M[ary]. D[aniel]. for the Company of Stationers, 1672. Provenance: Morris (purchased for 12s. 6d.). — Richard Bennett. — Sotheby 1898, lot 1082 (sold to Maggs for £1 15s.). — Unlocated. References: Ellis valuation, fol. 53b (no price). — ESTC (R7075). — MS catalogue (1), fol. 13v. — MS catalogue (2), no. 18 (with three X’s beside it). Munday, Anthony, trans. The first part of the no lesse rare, then excellent and stately history, of the famous and fortunate Prince Palmerin of England. 2 parts. London: printed by Ber. Alsop and Thomas Fawcett, 1639. Provenance: Morris. — Richard Bennett. — Sotheby 1898, lot 854 (sold to Maggs for 15s.). — Unlocated. Pliny, the Elder [Plinius]. The historie of the world. Trans. Philemon Holland. 2 vols. in 1. London: printed by Adam Islip, 1601. Provenance: Earl of Salisbury. — Roland L. Redmond. — Morris. — Richard Bennett. — Sotheby 1898, lot 958 (sold to J. Jones for £4 4s.). — Morgan Library (W 12 A). References: Ellis valuation, fol. 52b (£1 10s.) [note by Cockerell: “Cost £2.16.-” ]. — ESTC (S115918). Mexía, Pedro. The historie of all the Romane emperors, beginning with Caius Julius Cæsar, and successiuely ending with Rodulph the second now raigning. . . . First collected in Spanish by Pedro Mexia, since enlarged in Italian by Lodovico Dulce and Girolamo Bardi, and now englished by W.T. Trans. W. Traheron. London: printed [by Felix Kingston] for Matthew Lownes, 1604. Provenance: Morris. — Richard Bennett. — Sotheby 1898, lot 793 (sold to Henry Wellcome for 14s.). — Henry Wellcome. — Wellcome Library [deaccessioned]. — Unlocated. References: Ellis valuation, fol. 51b (no price). — ESTC (S114704).— MS catalogue (2), no. 88 (with three X’s next to it). Fernández, Jerónimo. The honour of chivalry, or, The famous and delectable history of Don Bellianis of Greece. 3 parts. London: printed by Thomas Johnson for Francis Kirkman, 1671. “Given me,” according to MS catalogue (1). Provenance: Morris. — Richard Bennett. — Sotheby 1898, lot 85 (sold to Henry Wellcome for £1 8s.). — Henry Wellcome. — Wellcome Library [deaccessioned]. — University of Illinois Library (Wing K633A). References: Ellis valuation, fol. 48b (no price). — ESTC (R26426) [parts 1–2]. — ESTC (R213602) [part 2].— MS catalogue (1), fol. 13. — MS catalogue (2), no. 25 (with three X’s beside it). Augustine, Saint, Bishop of Hippo [Saint Augustinus]. Of the citie of God. Trans. John Healey. [London}: printed by George Eld, 1610. Provenance: Morris. — Richard Bennett. — Sotheby 1898, lot 147 (sold to Littlewood for £1 8s.). — Catalogue of Old and Rare Books, Pickering & Chatto, 1900, no. 1025 (£2 2s.). — University of Iowa Libraries (Special Collections x-Collection 281.1 .A92cEh). References: Ellis valuation, fol. 48b (£1 10s.) [Cockerell’s note: “Cost £2.2.-“]. — ESTC (S106897). Ovid. The XV bookes of P. Ovidius Naso, entituled Metamorphosis. Trans. Arthur Golding. 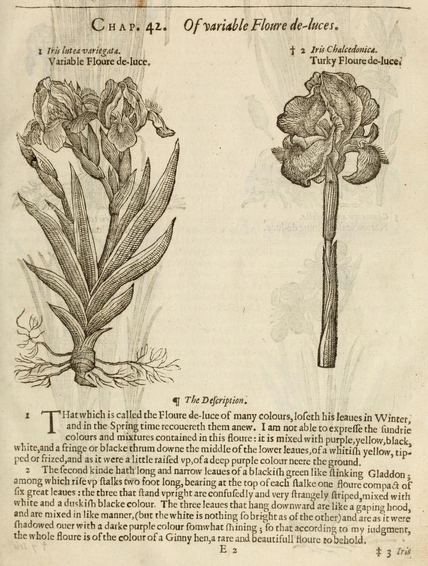 London: W. W[hite], 1603. Provenance: Morris. — Richard Bennett. — Sotheby 1898, lot 703 (sold to Bain for £14). — Unlocated. References: Ellis valuation, fol. 51b (no price). — ESTC (S113780). — MS catalogue (2), no. 29 (with three X’s beside it). Lucian, of Samosata. Part of Lucian made English from the originall in the yeare 1638. Trans. Jasper Mayne and Francis Hicks. Oxford: printed by H. Hall. for R. Davis, 1664. Provenance: Morris. — Richard Bennett. — Sotheby 1898, lot 769 (sold to Pickering for £2). — Swann, 22 October 1981, lot 221 (sold for $70). — John R. B. Brett-Smith. — Sotheby, 27 May 27 2004 (library of Brett-Smith), lot 347 (sold for £350 [$626]). — Unlocated. References: ESTC (R23081). — MS catalogue (2), no. 692 (with three X’s next to it). Livy [Titus Livius]. The Roman history written in Latine by Titus Livius. With the supplements of the learned John Freinshemius, and John Dujatius. London: printed for Awnsham Churchill, 1686. Provenance: Morris. — Richard Bennett. — Sotheby 1898, lot 762 (sold to Henry Wellcome for 10s.). — Henry Wellcome. — Unlocated. References: Ellis valuation, fol. 51b (10s.). — ESTC (R25048). — MS catalogue (2), no. 300 (probably; described there as Livy’s “Roman History translation”). Knolles, Richard. The generall historie of the Turkes, from the first beginning of that nation to the rising of the Othoman familie. 5th ed. 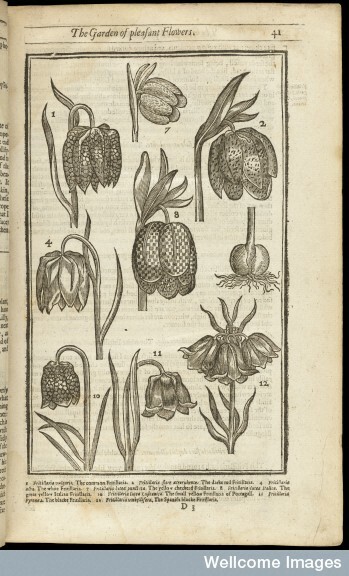 [London]: printed by Adam Islip, 1638. Provenance: Henry Hibbert. — M.B. (possibly Hibbert’s daughter Mary). — Earl of Clare. —Clare sale, Sotheby, 31 January 1881). — Morris . — Richard Bennett. — Sotheby 1898, lot 741 (sold to Cotton for £3 3s.). — Francis Kettaneh. — Henry Blackmer. — Blackmer sale, Sotheby (London), 11–13 October 1889, lot 165. — Christie (New York), 7 June 2000, lot 110 (sold for $13,431). — Arcadian Library, London. References: Ellis valuation, fol. 51b (£1). — ESTC (S112920). — MS catalogue (2), no. 450 (with three X’s beside the title.). Ammianus Marcellinus. The Roman historie. Trans. Philemon Holland. London: printed by Adam Islip, 1609. Provenance: Morris (purchased for 15s.). — Richard Bennett. — Sotheby 1898, lot 121 (sold to Jackson for 10s.). — Unlocated. References: Ellis valuation, fol. 50b (no price). — ESTC (S114268). — MS catalogue (1), fol. 14r. — MS catalogue (2), no. 409 (with three X’s next to it). A record of ancient histories entituled in Latin, Gesta Romanorum. London: printed for T. Basset, R. Chiswell, A. Mill, G. Conyer, and M. Wotton, 1698. Provenance: Morris. — Richard Bennett. — Sotheby 1898, lot 416 (sold to J. Jones for £3). — Unlocated. References: ESTC (R31172). — MS catalogue (2), no. 8. Commynes, Philippe de. The historie of Philip de Commines Knight, Lord of Argenton. London: printed by Ar. Hatfield for I. Norton, 1601. Provenance: Josseline Percy. — Morris (purchased for 15s.). — Richard Bennett. — Sotheby 1898, lot 375 (sold to Pickering for 13s.). — Unlocated. References: Ellis valuation, fol. 49b (£10). — ESTC (S107248). — MS catalogue (1), fol. 8v. — MS catalogue (2), no. 480, with three X’s beside the title. Caesar, Julius. The commentaries of C. Julius Caesar, of his wars in Gallia; and the civil wars betwixt him and Pompey. Trans. Clement Edmonds. 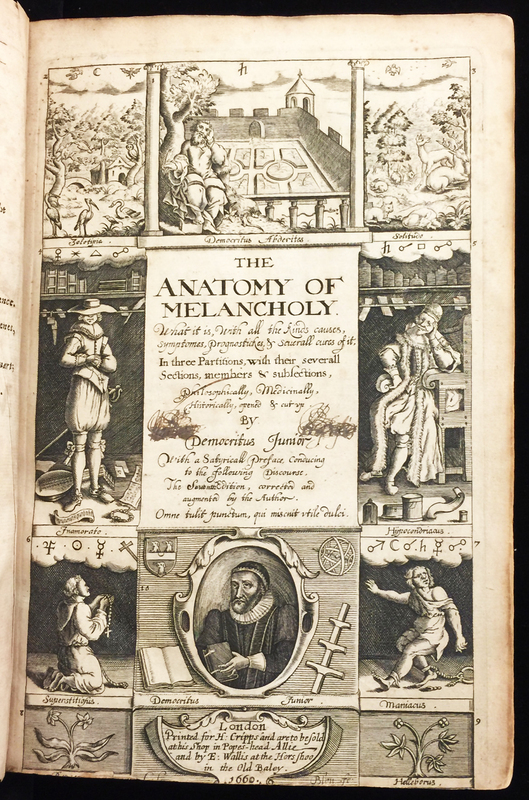 [London]: printed by Thomas Newcomb for Jonathan Edwin, 1677. Provenance: Morris (purchased for 3s. 6d.). — Richard Bennett. — Sotheby 1898, lot 335 (sold to Henry Wellcome for 8s.). — Henry Wellcome. — Unlocated. References: ESTC (R16632). — MS catalogue (1), fol. 9v. — MS catalogue (2), no. 437. Belleforest, François de, and Pierre Boaistuau, trans. Histoires tragiques, extraites des oeuvres italiennes de Bandel, et mises en langue françoise. 7 vols. Rouen: Chez Adrian de Launay and Pierre Calles, 1603–04. Provenance: Morris. — Richard Bennett. — Sotheby 1898, lot 25 (sold to Maggs for £1 1s.). — Unlocated. Reference: MS catalogue (2), no. 663 (with three X’s next to it). Camden, William. Britain, or a chorographicall description of the most flourishing kingdomes, England, Scotland, and Ireland, and the islands adjoyning, out of the depth of antiquitie. Trans. Philemon Holland. London: printed by F.K. [Felix Kingston], R.Y. [Robert Young], and I.L. [John Legat] for Andrew Heb, 1637. Provenance: Morris (purchased for £1 10s.). — Richard Bennett. — Sotheby 1898, lot 337 (sold to Ridler for £1 3s.). — Unlocated. References: Ellis valuation, fol. 48b (10s.). — ESTC (S122164). — MS catalogue (1), fol. 9v. — MS catalogue (2), no. 669 (with three X’s next to it). Browne, Sir Thomas. The works . . . containing I. Enquiries into vulgar and common errors. II. Religio medici: with annotations and observations upon it. III. Hydriotaphia; or, Urn-Burial: together with the garden of Cyrus. IV. Certain miscellany tracts. With alphabetical tables. London: printed for Thomas Basset, Richard Chiswell, Thomas Sawbridge, Charles Mearn, and Charles Brome, 1686. Provenance: Morris (purchased for 3s. 6d.). — Richard Bennett. — Sotheby 1898, lot 328 (sold to Henry Wellcome for £1 7s.). — Henry Wellcome. — Unlocated. References: Ellis valuation, fol. 48b (10s.). — ESTC (R19807). — MS catalogue (1), fol. 11. — MS catalogue (2), no. 414 (with three X’s next to it). Ovid. Metamorphoses. Trans. George Sandys. 6th ed. London: printed by J.F. [James Flesher] for A. Roper, R. Thomlins, and G. Sawbridge, 1669. Provenance: Morris. — Richard Bennett. — Sotheby 1898, lot 802 (part; sold to Pickering for £1 3s.). — Catalogue of Old and Rare Books, Pickering & Chatto, 1900, no. 1113 (£2 2s.). — Unlocated. References: ESTC. — MS catalogue (2), no. 645 (with three X’s next to it). Cicero, Marcus Tullius. Cicero’s three books touching the nature of the gods done into English. London: printed for Joseph Hindmarsh, 1683. Provenance: Morris. — Richard Bennett. — Sotheby 1898, lot 802 (part; sold to Pickering for £1 3s.). — Unlocated. References: ESTC (R31304). — MS catalogue (2), no. 66 (with 3 X’s next to it). The shepheards kalendar: newly augmented and corrected. London: printed by Robert Ibbitson for Francis Grove, 1656. Provenance: Morris. — Richard Bennett. — Sotheby 1898, lot 1121 (sold to Pickering for £12 15s.). — Catalogue of Old and Rare Books, Pickering & Chatto, 1900, no. 1114 (£16 16s.). — J. & J. Leighton (on loan for exhibition by International Association of Antiquarian Booksellers, London, 1912). — Unlocated. References: Ellis valuation, fol. 52b (£10 10s.). — ESTC (R16875). — MS catalogue (2), no. 901, p. 81.